Kimberly is a new addition to the SPTA team. She is a graduate of SUNY Herkimer with honors, and is thrilled to be a part of a well-rounded team of talented professionals. 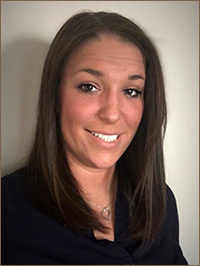 Prior to joining SPTA, Kimberly received her Bachelors in Science in Athletic Training from SUNY Cortland. Kimberly enjoys using her knowledge in treating sport related orthopedic injuries and emphasizing the importance of a patient education / effective home exercise programs to promote recovery and prevention of injuries.